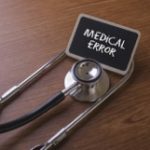 In an analysis earlier this year by the New England Journal of Medicine, the medical journal says that one percent of physicians account for approximately 32 percent of all paid medical malpractice claims. The data — which was pulled from the National Practitioner Data Bank — shows that over a recent 10-year period, a small number of physicians with “distinctive characteristics” accounted for a disproportionately large number of paid malpractice claims. Among all of the physicians with paid claims, 84% incurred only one malpractice claim during the study period, which accounted for 68% of all paid claims. Of the remaining physicians, 16% had at least two paid claims during the relevant time frame, accounting for 32% of the claims. The last 4% of doctors had at least three paid claims (if not more), accounting for 12% of the claims. Physicians who had three paid medical malpractice claims have three times the risk of incurring another paid medical malpractice claim in the future. One size does not fit all when it comes to recurrence according to practitioner specialty: the risk of malpractice among neurosurgeons, for example, was four times as great as the risk among psychiatrists. According to the National Practitioner Data Bank, medical malpractice claims have only continued to increase in actual dollars in recent years. As The National Trial Lawyers organization reported last February, 2013 saw $168 million more medical malpractice payouts than 2012 (a 4.7% increase). Most of the payouts are a result of settlements (96%) instead of judgments. These are just a sampling of the lawsuits, verdicts, and settlements relating to medical malpractice claims since 2014. As The New England Journal of Medicine’s trends in medical malpractice claims demonstrates, repeat offenders are more likely than not.